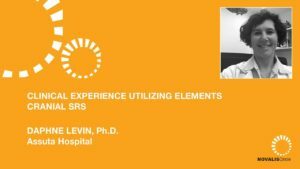 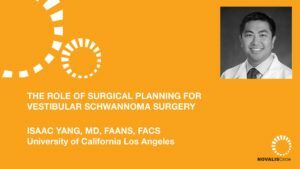 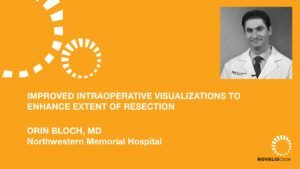 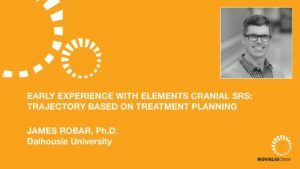 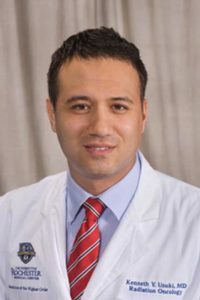 Kenneth Usuki, MD, from the University of Rochester Medical Center discusses his first experiences and clinical outcomes utilizing Brainlab Elements Cranial SRS for the radiosurgical treatment of primary tumors. 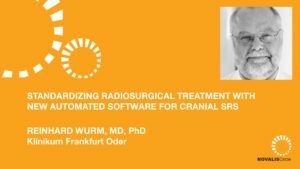 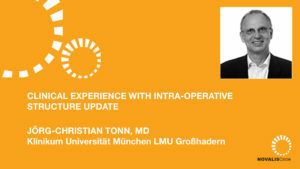 He begins by outlining some radiosurgery workflow challenges faced by his institution, including time between MRI and treatment, limited number of authorized planners and the requirement that physicians be present at the machine during treatment. 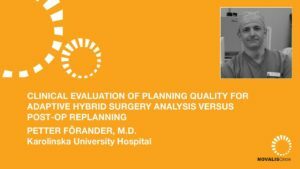 He then goes into more detail comparing planning with iPlan and Cranial SRS, noting that Cranial SRS features reduced planning time, increased consistency in dosimetric quality of radiosurgery plans and decreased treatment time. 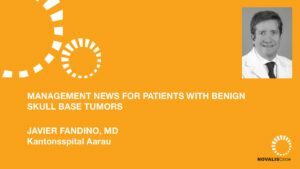 Dr. Usuki then gives a small sample of patients used for internal QA to demonstrate these differences.